New homes for sale in Summerlin by Toll Brothers nears finish of the Balboa Collection. The guard gated development of residential real estate is located within the Summerlin master plan. Home buyers in Las Vegas real estate still have a choice from the Balboa Collection including floor plans named Verano, Solano and Sonoma. The single family homes are priced from the upper $400,000s. Free Toll Brothers new home tour in Inspirada real estate Sept 27 -28. Toll Advantage Days and New Home Expo invites the home buyers to a showcase of homes at Inspirada and Traccia in Summerlin. Professional stagers will be onsite to give advice for decorating and maximizing the exterior appeal to achieve a quick sale in the current buyer’s market. Financial professionals will be onsite for mortgage questions. 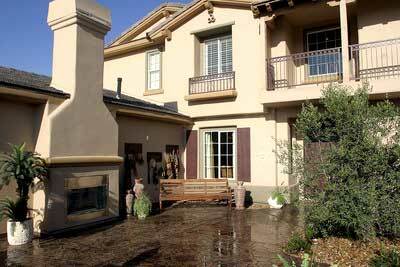 Franklin Park luxury Las Vegas homes for sale in Providence real estate. Franklin park homes by Toll Bros are located in north Las Vegas. Several model homes are now available for home buyer viewing. The Carriage Collection is showcasing The Terracina and the the Savona new model homes in North Las Vegas. The Terracina floor plan is a two story home with Mediterranean architecture and 3,011 square feet. The Savona floor plan has Mediterranean architecture with 2,812 square feet in a two story floor plan. Toll Brothers hosts Las Vegas luxury home showcase at Fairway Hills in Summerlin real estate. The public is invited April 26 and 27 to showcase fireplaces, customized closets, cabinets, countertops, fixtures and floor coverings. Mortgage lenders will assist luxury home buyers on the advantage of purchasing homes in current buyer’s market.